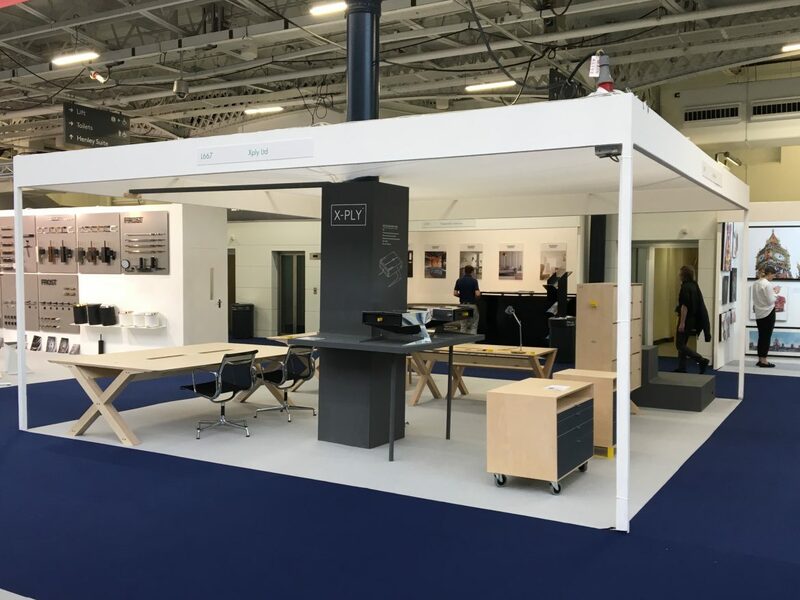 The recent 100% Design show in Kensington Olympia was a great launch pad for our new range of storage units to accompany our popular desking range. X-PLY offers a new twist to the desking world; plastics free, ergonomic to work on with a utilitarian edge allowing our clients to customize and modulate desking options to suit their workspace. Modern workspaces are changing, and we believe we have a new take on a stale industry. Simple honest design headed up by our Co- founder John Tomalin Reeves with a hint of elegance. All our products are made from a few materials keeping the process easy and reducing wastage. 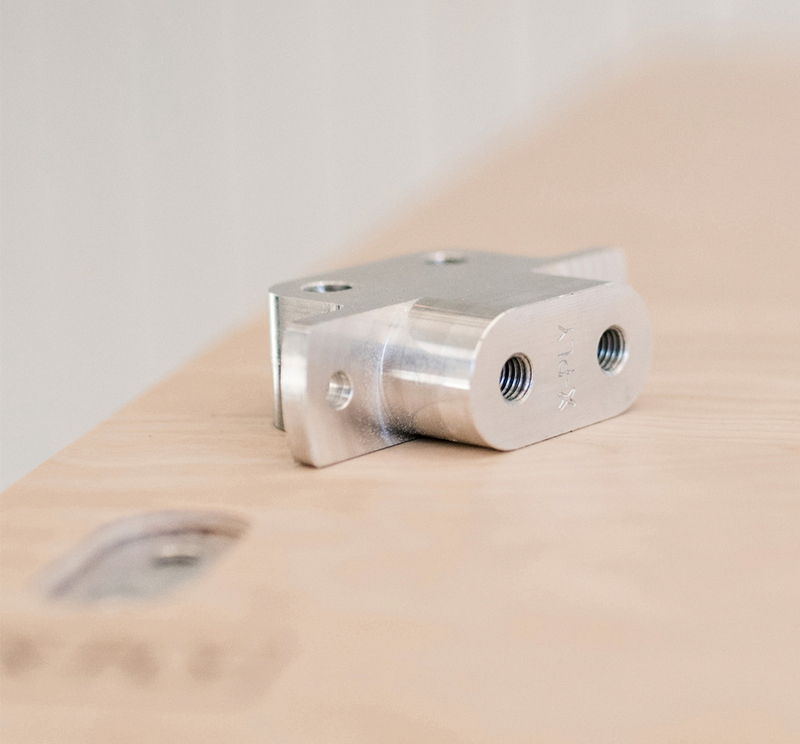 We use plywood, and our own design of aluminium fixing Knuckles to construct the desks and storage units. We wanted to be the first to provide a furniture range that is androgynous in as far as it doesn’t feel out of place in both the residential and commercial environment. We noticed a trend toward office furniture becoming more residential and less staid and commercial. We received great feedback from the show and will be aiming to deliver on orders gathered over the next 4-6 weeks. The next few months is looking exciting for us as we launch our new website and extend our range of storage options to suit all workspaces. Follow us on our mailing list and Instagram for updates!